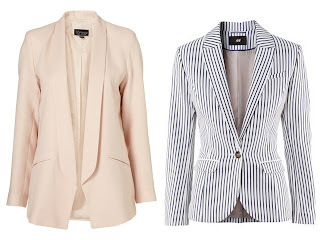 I seem to have developed a bit of a blazer habit recently buying three in as many days! Blazers are ideal for the spring season when it's not warm enough to go out without a jacket but too warm for your winter coat. 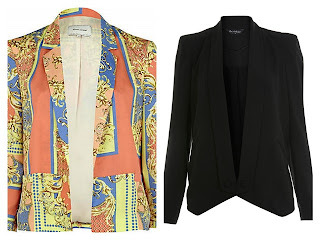 They look great styled with a dress on a night out and can smarten up your favourite pair of jeans. I love the gold sequin blazer. It's quite pricey but it's a real investment piece that you could wear year after year, and would be ideal during the festive season! It'd look great worn over your favourite LBD. 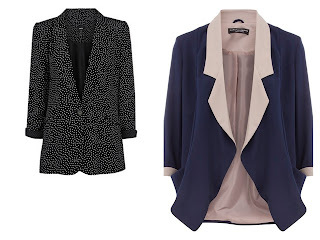 I really like the longline shape of the Topshop blazer. The pale peach colour is ideal for summer. It'd be a great way to incorporate the pastel trend into your wardrobe. 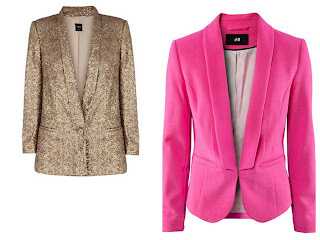 I'm sure next time I'm in H&M I'll be hunting for the pink blazer. It's a gorgeous bright cerise pink and a great price too! Are you a blazer addict? 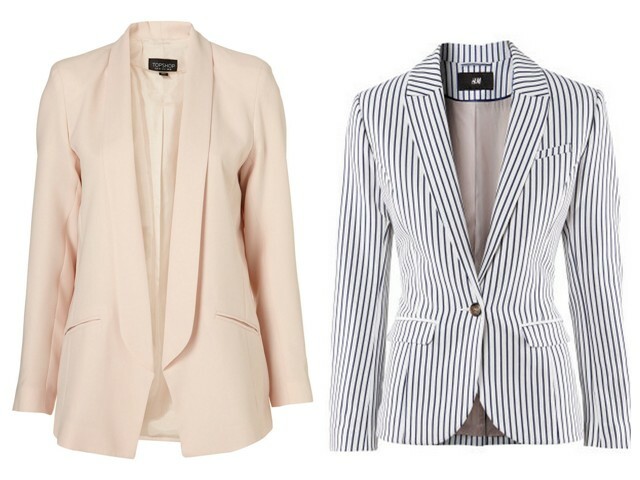 I need springy blazers in my wardrobe. That minty River Island one is soooo pretty and I'm crushing on that Dorothy Perkins one as well.. I love all those blazers! I got myself a gorgeous baby pink one from Zara that I'm in love with! My friend bought that bright pink blazer, I want it so bad! That gold sequin blazer looks amazing, shame about the price tag though! 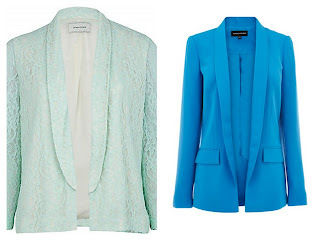 I love the mint River Island one too, would be perfect for summer. love the bold blue one! Love the miss selfridge one! Can't beat a good blazer. I managed to find the cutest blazer ever many moons back in urban outfitters vintage section. Got it taken in, and now it fits just perfect! Love Nails. Love Obsession Lacquer.